Rakhi festival is that awesome moment which calls for making the bond between brothers and sisters stronger. If you are planning to send rakhis for your four brothers then this is a wonderful option that you can go for. 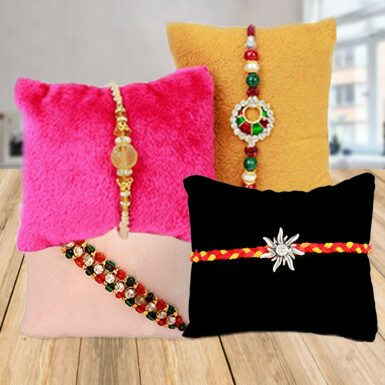 So, order and send this set of four rakhis from Winni.